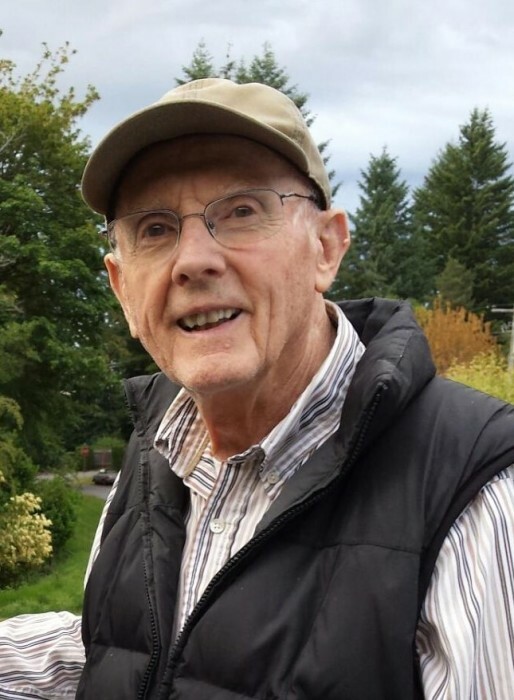 Arthur R. Lehman, age 87, passed away at his home in Centralia on March 21, 2019. Arthur “Art” was born on June 20, 1931 to George and Stefanie (Alber) Lehman in Centralia Washington. A graduate of Centralia High School, Art drove school bus while earning an Associate Degree from Centralia College. Prior to being drafted in to the Army during the Korean War, he served as a firefighter for the Department of Natural Resources. Upon his honorable discharge from the Army, Art returned to Centralia, working for a local bank before beginning a career with the Centralia Water Department. After 29 years of service with the City of Centralia Water Department, Art retired as the Superintendent, only to return to public service after being elected as one of the founding fathers of the Port of Centralia, serving 5 terms for a total of 25 additional years. On August 6, 1955, Art married his beautiful bride, Mildred Terry, at the Hunter House in Centralia, Washington. They had met on a blind date. Art is also a member of the Twin Cities Church of Christ. Arthur is survived by his loving spouse of nearly 64 years; Mildred (Terry) Lehman, Son; James Arthur Lehman (Beth), daughter; Karen Irene Longabaugh, son-in-law Richard V Longabaugh, three grandsons; James (Melinda) Longabaugh, Cameron (Kajsa) Longabaugh, and Jacob Ponce, two granddaughters; Morgan Lehman, and Sarah Mendiola, and great-granddaughter; Lux Evy Longabaugh. He was preceded in death by father; George Lehman, and mother Stefanie (Alber) Lehman, as well as 10 brothers and sisters. A Funeral Service will be held on Thursday, March 28, 2019 at 11:00 a.m. at Mountain View Cemetery in Centralia Washington, followed by a reception at the Twin Cities Church of Christ at 502 E Plum St in Centralia, Washington. Under the care of Newell-Hoerling’s Mortuary.